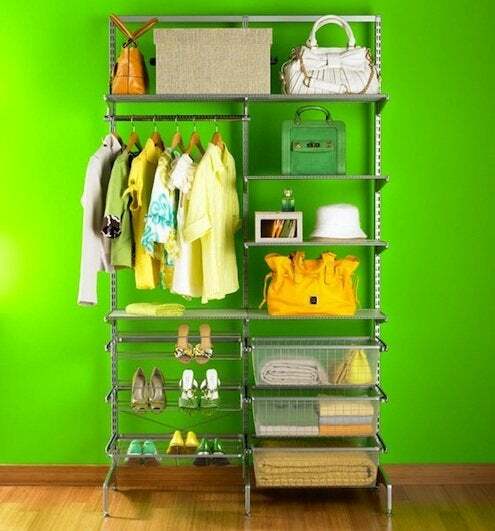 It’s not difficult to add a closet, but doing so will probably be more costly than reorganizing an existing one. So exhaust all other storage options before taking the plunge. There are several ways to add a closet to your home: purchase a freestanding wardrobe, build in a wardrobe, opt for an open closet, frame out a new closet, or create one from “found” space. The path you take to adding a closet depends upon the amount of space you can afford, the amount of money you wish to spend, and whether or not you need a permanent or temporary solution. 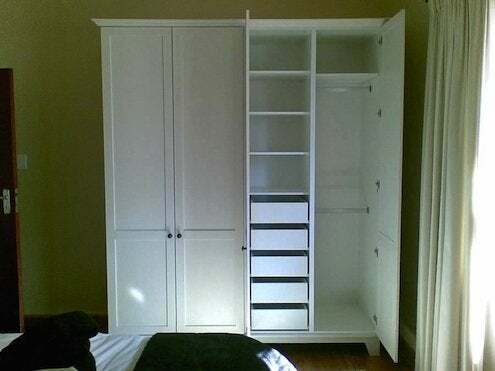 A freestanding wardrobe is a quick and easy way to add a closet; like cabinets, freestanding wardrobes come with the sawing and finishing already done. Small units are only a few feet wide, while multiple units may be used side by side to achieve greater width. Heights range from six to eight feet, but custom units may of course be built taller. 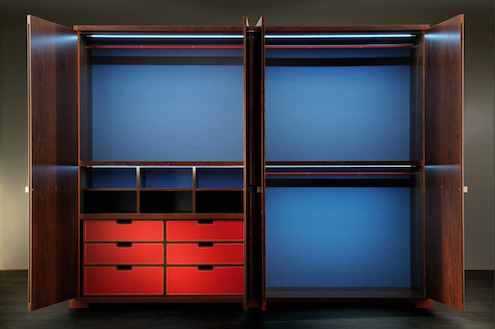 Freestanding wardrobes, typically constructed of plywood or fiberboard, can be real space savers. While a conventionally framed closet devotes four or five inches to studs and drywall on three sides (occupying at least six or seven cubic feet), freestanding units waste almost no space on construction. In addition, they can be positioned either against a wall or several feet into a room—divider fashion—effectively creating a walk-in closet. Built-in wardrobes are a more permanent solution. They may be carcass built (like one or more large cabinets), frame built, or built behind a wall of sliding doors. Built-in wardrobes tend to make better use of available space than freestanding wardrobes but are more expensive as well. Multiple built-ins can be arranged in rows or at angles. If used at right angles, plan ahead in order to use corner spaces with maximum efficiency. Open closets are built using closet organizer components, but they are not enclosed by walls or doors. Open closets are commonly used in garages, sewing and craft centers, playrooms, media centers, home offices and bathrooms. Organizing systems for making an open closet come in many styles, including coated wire, melamine-coated fiberboard, and solid wood. You don’t have to spend a lot—a closet pole hung from hooks, a back-of-door rack, and a clothes tree can all serve as open closets. 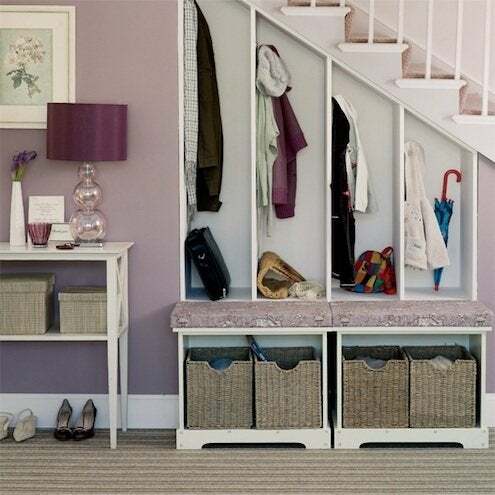 Conventionally framed closets are permanent and are designed to look like part of the house. Stud walls are erected from floor to ceiling, skinned with drywall, and painted. The opening is fitted with the doors of your choice, while the trim and door hardware are selected to match the surrounding room. If you want this type of closet, however, you will have to brush up on your framing and drywall taping skills.